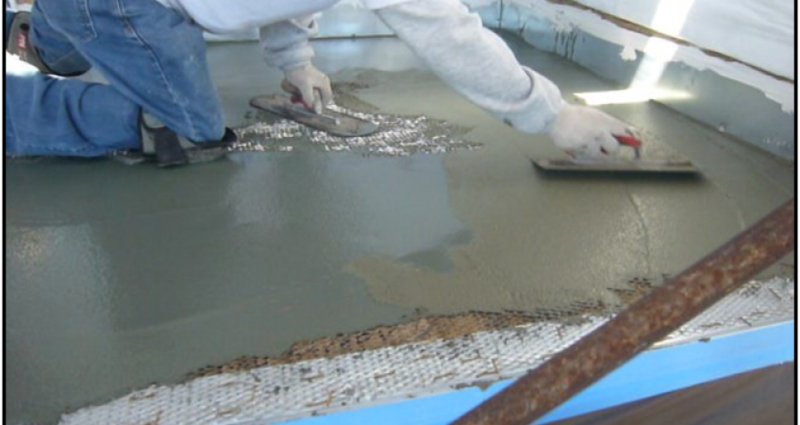 Managing a deck waterproofing project is just like managing any other project where chemical safety and completion time are crucial issues. Following the tips below will ensure a safe and satisfying experience, with results that save you money and improve the quality of your time at home. Before you do anything, make sure you know what your deck is made of. If it’s new and you just installed it, then you know this very well. However if you just purchased a home that included the deck, make sure you know if you’re dealing with plywood, composite or some other material. Check and double check that you have absolutely all of the supplies needed before you begin. This may seem elementary but if you have to stop in the middle of your project to run out for something you need, you could end up losing expensive supplies in the process. Once you start, you can’t really stop. Remember that supplies include buckets and Rags gloves to protect your hands and some type of mask if you don’t have a well-ventilated area. Make sure you have carved out plenty of time to complete your project so you won’t be rushed and you’ll have extra time to look over your finished project and clean up your area. Another impact on your time spent and your work in progress is to block off entrances and exits so friends and family won’t accidentally interrupt your application or damage what you’ve already done. Check the weather to make sure the temperature and moisture is going to cooperate on the day that you’re going to complete your project. Don’t take chances. Plan your project for a day when there is relatively zero chance of weather interrupting your work. Make plans for your pets on the days following your deck project to ensure that they cannot gain access to your drying surface. Remember that cats can jump over things that have been put in place to stop the dogs. Do you have stray cats in your neighborhood? This may be a challenge to keep them from leaving their little prints all over your new deck as you sleep. Is it possible you can get some help? We’re always sure we can complete a task on our own especially if you just have an independent personality, however depending on the size of your deck, as the day wears on you will tire. If someone else is doing some of the work it will get done more quickly and will even be more fun since you have someone to keep you company. Do not start your deck project having never done it or without performing some type of test run or trial on a little piece of your wood. If this is your first time, there will be trial and error. Try to get this over with a few days before. Test your product on a small corner piece of decking to check the result and familiarize yourself with the consistency of the finish. This will be the time when you decide perhaps you need larger brushes a different color or more supplies. Pay attention to the instructions on the packaging that indicates how much area can be covered with your product. Believe this estimate and make sure you have more than enough before you begin. What may seem like a lot of preparation will pay off in the end when you are enjoying your beautiful deck. Skipping any of these steps but only cost more money, more time and postpone all of that enjoyment. Always contact us for any questions regarding the life of your deck.